Search Engine Optimization is not just a technique anymore. With so many common SEO mistakes practiced daily by bloggers, it has become a skill which is mandatory if you want to grow in the world of online business and blogging. How many articles are there on internet that promise to bring traffic to your website? Numerous right. However there are few that talk about running a check over what is wrong that you might be doing than just expanding your incoming traffic. Remember that even bad or moderate SEO techniques can generate traffic on your website. This might excite you immediately. In reality it will bring a serious damage to your website ranking on the long go. In fact websites these days are generating traffic through the use of traffic bots, which has a great potential to damage your blog or website reputation. So it is not wise to run after the website views. What’s more important is to drill down and identify common SEO mistakes that you are doing that can hamper the growth of your online business in one way or the other. I have identified some very common SEO blunders that most of the bloggers and website owners tend to do unconsciously. Remember that working on your SEO mistakes is equally important or sometimes even better than following contemporary SEO tips. Notice that I use the word ‘contemporary’ over here. This has a reason. I often come across many people over internet who have their ‘SEO expert’ hats on. I agree that receiving a word from experienced SEO tycoons does help a lot but it is more important to identify whether these techniques are outdated or not. 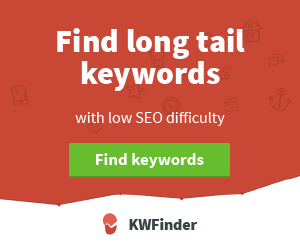 Careful handling of keywords is a must. A violation of this rule makes one of the best example of common SEO mistakes. This phenomena is also referred to as keyword stuffing. People often do this because they ‘think’ that repeating keywords into their articles is going to make it more susceptible to top search results. In reality, it is destroying both your grammar and consequently the user experience on Google. Another area where keyword stuffing is regularly practiced is the meta-tags. Placing long list of keywords with duplication inside meta-tags is a major SEO flaw. So it is advised to place your keywords wisely and make use of synonyms. Always remember that content is going to be the heart of your article. Compromising on its quality can lead to a low pumping of blood to your website. SEO do’s and don’ts also talk about giving maximum attention to content generation according to what the target audience hope to look for. Often people try to dodge time by using article spinner. It is a tool that regenerates the original content by changing words with synonyms. Sounds cool? Only until you hear its disadvantages. These can include use of wrong grammar and low quality content. Together they make a combination that Google hates the most. So you can imagine how much of a bad impact this puts on your website or blog. Too much emphasis on content creation can get you ignorant on other also important areas. An example of this is the image optimization. Remember that images are clickable and also a source of generating traffic. Google does not read the content inside images but ranks them according to the file names. Hence giving these files a bad name like ‘123.jp’ is going to miss you some good amount of traffic. Also it is advisable to give your images alt tag and description with focused keywords residing inside both of them. Apart from the usual, try to cut down the size of the images that you use, in case their size is big. You can use EWWW Image Optimizer to reduce image sizes. Cutting down on the file size will increase the load time of your page, as using large sized images can take a lot of load time consequently damaging the user experience of your blog or website. This makes a huge part of the common SEO mistakes. I assume you already know the importance of focused keywords and how they carry the main responsibility of ranking your website up or down. I didn’t know how important it is until George Lewington, Director of Opmax and a special friend of mine pointed this out. Every SEO expert knows how to score maximum using the title and the page URL (also known as the permalink). The idea is to simply mold your title in a way that it adjusts keyword inside it. If you fail to do so, even a very well generated content might not get as much hits as the title and permalink could get you. Backlinks Backlinks Backlinks!!!! One of the biggest SEO mistakes that new bloggers in particular tend to do is creating various backlinks without having support of high quality content. Insert this in your head that backlinks should be qualitative in nature, not quantitative. One quality backlink will be better than various low quality backlinks. I am sure this was worth a read and is definitely going to help you improve your blog ranking by working on these common SEO mistakes. If you think you committed a mistake and is not listed here, feel free to share your experience in the comments section.